As we have indicated in our 2016 edition of Observatory for the year 2016, Slovenian public has an array of channels and programs, which are generally accessible through cable systems. International and global programmes are accessible both through cables and through satellite receivers. Cable operators demand special subscriptions for some particular programmes. In this overview of one week on TV and blogs, we are taking a closer look only on two most popular TV channels and their Internet sites. These two channels are also relatively comprehensive since they air news programmes, documentaries. Only in the case of national non-commercial channel, some contents in educational formats make part of the programme. We followed blogs on both television’s internet sites in the same week. As for the offer of any historical content, National TV of Slovenia with its three programmes – one of them is so called parliamentary channel – is the most important resource, especially considering production of content in such genres as documentaries, interviews and talk shows. Of course, its news programmes play important and special role in presenting historical issues. It should be stressed that in the framework of public TV, special programmes for the two constitutionally recognised ethnic minorities (Italian and Hungarian) exist as well. It is important for teachers of history that most of the national TV’s own production is easily accessible in the internet archive. Television POP – TV, owned by PRO-PLUS international media organisation, takes the biggest market share in audio-visual area. The ownership is currently changing in view of the fact that the “media business” seems to remain one of the most lucrative economic domains. To conform to the Slovene legislation on media, POP-TV has a relatively strong content production team and they air above all news programmes and only very rarely some documentaries. However, the bulk of their programmes is more or less just entertainment in different genres like reality TV, “big brother” and sports programmes. Of course, they screen a lot of mediocre and low quality feature films and TV series, since the high end quality productions (like TV series, feature films, documentaries, etc.) are owned by a number of global channels (like HBO, Cinemax, BBC, etc.). Slovenia has not enough resources or critical mass of interest to have its own specialised history channel. Therefore, those viewers, who are interested in such content, can have access (through cable or satellite) to the global programmes like History Channel and Viasat History. Cable systems also provide Slovene subtitles for documentaries and other content, which is displayed by these channels. Due to the conditions of broadcasting, some very interesting contents of these channels are not easily available for educational uses. In the week from May 1st to May 7th, we monitored the first, second and third channel of the national Television of Slovenia. Monitored shows were “Good morning”, First news, Evening news, Slovenian Chronicle, Late News, Culture (the special block after the second evening news), Magazines Utrip (Pulse) and Zrcalo tedna (Mirror of the Week), Infodrom (News for Youth and Kids) and documentaries. On POP TV, we monitored only programmes, which potentially contained some historical content – the daily news programme “24 hours” and one weekly magazine show Preverjeno (Verified). We also looked at blogs at the both TV stations internet sites. In the report, we present the overview of blogs, which we read between the 1st and 7th of May, 2017. The blogs are often on the topics that are not related to television shows, but they are topics that were created more generally in view of current public issues. We monitored the blogs on RTV SLO and 24ur web sites. Although it was the time of an actually holiday week because three historical events (April 27th – Day of Uprising against Occupation, May 1st – May Day, May 9th– Victory Day) were celebrated, we found surprisingly little references to the historical context of all just mentioned holidays. In fact, none serious shows on both channels, dedicated to an important historical reference, for example, on struggles for workers’ rights or the partisan resistance against the occupation during WW 2, were aired. In the monitored week in the capital of Slovenia, Ljubljana, the event, which is dedicated to the memory of occupied city, took place. Ljubljana was surrounded by barbed wire almost throughout the time of the WW 2. This traditional celebration and a number of sports events called “March along the wire” are carried out on the 32 kilometres long march and running route around Ljubljana. Television reported about this event as “the biggest recreational sports event in Slovenia” with surprisingly little historical references. The only exception, actually, was the fiction/documentary Hospital Franja, for which we could say that it is everything but a serious historical portrait of the famous partisan doctor Franja Bojc Bidovec, who led partisan hospital during WW 2. The monitoring of the chosen week gave us impression that with an absence of any relevant historical references in TV reports about public holidays and traditional event (march around the wire) the whole social and political dimension was almost completely erased. Actually, we can say that this week could be taken as an example of typical media gesture of de-politicization within contemporary society. What follows, are our brief reports about each day of the monitored week. The narrative of the film is based on the archival letters of Doctor Franja Bojc Bidovec to her son. During the WW 2 Franja managed the “legendary” partisan hospital, hidden in a mountain crevasse. The film makes connection between the present and the past through a female character of Anja, a medical student, who is inspired by the personality of the legendary doctor. The film shows some historical locations and emphasizes the humanitarian aspect. The film consists of some fictional sequences with the student Anja, and “reconstructs” doctor Franja’s appearances. The result is a collage of the documentary photographic material of the partisan hospital and of Doctor Franja B. Bidovec. By depicting the intimate feature of the story of Franja and the fictional reflections of the character of the student Anja, the film does not follow any method of historiography for dealing with the micro-history of the partisan resistance. In many over-sentimentalized representations, the film depoliticizes history and deprives it of any message, aimed at an emancipatory goal, which could be found in the biography of doctor Franja. Overall, the emphases of the film is more on psychology than on history. The authors also made an effort to make an aesthetically accomplished film. Documentary: V Deželi herojev (In the Land of Heroes) – first shown in 2014. The documentary points to 62 schools in Slovenia, which are named with so-called “national heroes” names. In the film, the “category” of national hero is explained. Some fighters in the partisan resistance (WW 2), who excelled with their courage and leadership, were declared “national heroes”. A lot of them died during the war or later, but some are still living. The film consists of a series of interviews with still living heroes and some professional historians, among which some different opinions are voiced. Some speakers, for instance, advocated the idea that a passive resistance would have been better than the armed resistance. However, most of the interviewees staunchly point out that the resistance was a necessary choice, which influenced the Slovenian nationhood. The authors tried to clear up the problem of reconciliation between the resistance fighters and the “collaborators”. The efforts for the reconciliation in Slovenia are more or less failing. The film emanates a message that a “transparent history” is needed. The evening news opened with the reporting about celebrations of the May Day in Slovenia and abroad. In the reporting the fact that the celebrations of May Day are marking the memory of struggles for workers’ rights, was mentioned only briefly and very superficially. It is interesting to see how reporting on the May Day celebration can be devoid of any historical content. In about four minutes, long report the traditional celebration on the eve of 1st May is shown in glimpses, which were accompanied with an unsubstantiated comment that workers’ rights are diminished. Some participants of the celebration only referred to “having a nice time”. This edition of the programme, which is also stored in the on-line archive of the National TV as a permanent resource, was a high quality contribution, which consisted of the in depth reporting from the symposium at the Slovene Cinemateque about archiving film in the age of digitisation. The problems of the decay of film tape, its restoration and, again, not effective solutions with digitisation were explained and illustrated in interviews and the documentary takes on the procedures in some interesting cases as, for example, the restoration of the first Slovene film, shot by Dr. Grossman in 1903. Still from the film showing damage on the original film, which was repaired by digitalisation. The other part of the programme was extremely interesting for history teachers’ usage when they have to tackle the WW 2. Some cuts from the film A German Life, accompanied by the conversation with authors of the film, were shown. The film contains the recorded confession of Brunhilde Pomsel (Goebbels’ secretary) in her 103rd year of life. The problems of human memory and guilt for terrible events are emphasised in the conversation. A narrative about finding archival film material and the account of Ms Pomsel, were nicely interlaced. On the RTV SLO web site, we came across two topics that were related to the Labour Day (or May Day). The author of the blog was nostalgic about the times, when our country was different, and about the fact that today nobody respects this holiday due to the government “who has sold our country”. The author wrote that it was easier to get a job back in the past, but today we are only “slaves to the state”. Some comments and responses were related to the leader of the political opposition Janez Janša and “the fact” that the “government is stealing from the citizens”. The most common user comments on issues of that day were similar to the comment of the blogger Nonparel, who thought that first of May, is in a way a remorse day from neoliberalism, because all we can do is reminisce about the better days that are unfortunately gone. The only reference with any historical connotation was a reporting of the fact that Slovenia was one of the rare countries, which celebrates the May Day for two days. The edited documentary about former Socialist Federal Republic of Yugoslavia demonstrated a very “light” journalistic approach to history as an object of nostalgia and as an object of controversies in the current public interpretations of history. The authors pointed out the “bright side” and the “dark side” of the past. Hence, the bright side of the socialist Yugoslavia were job security, health system, social equality and in later periods also standards of living. The dark side was represented by censorship and violations of human rights. Erasing of the historical memory, concerning the atrocities soon after the war, was especially emphasised. The contribution contained some brief statements by the living participants of the events, and some opinions of the representatives of the “ordinary people”, and some experts, among whom, curiously, only one historian (!) enunciated his understanding of the past. Such programme could be used for the curriculum of history as a case for critical viewing and analysis of what becomes actually erased from the historic memory. Pričevalci (Witnesses) – series of interviews with older persons (as a rule, not very known public figures) who are reminiscing about their experiences of their lifetimes and especially about events during and after the WW 2. We watched a new contribution of the on and on-going series of already countless conversations with “witnesses”, who survived WW 2 and the different periods of the “communist totalitarianism” – mainly in opposition to the partisan resistance or in some not clearly defined situations. In this week’s segment, the author, Jože Možina, talked to Marija Hren (born 1931) from the village Bezuljak in the north-eastern part of Slovenia. The authors are making a little bit of progress in recent productions as much as the form of these interviews is concerned. Hence, in this case they started with some exterior shots in the Marija’s village. Since the interviewee has been the teacher of history and geography, she talked also about the ancient history of the place. Many villagers immigrated to USA in 19th Century. During the WW 2, some forty people perished. The camera then moves from exterior to interior, where a rather confused narrative unfolds. Ms Marija spent an extended time to describe her larger family. What is interesting from the point of view of history is her quite vivid description of the fact that so called “Rupnik’s line” (system of defence constructions, named after the general, who subsequently became one of the main collaborators with occupying authorities) crossed the village. In the beginning of the war, the village was occupied by the Italian army, what caused indignation since the villagers would prefer German occupation. The rest of the narrative contains plenty of details about the hard times during and after the war with an emphasis on criticism of the “communist terror”. One of the most remarkable films of the French Nouvelle vague was shown later in the evening. The film is not interesting only as one of the greatest artistic achievements of the cinema of 20th Century, but also because of its historical framework. The story, which is based on the love triangle pattern, sheds a singular light on the endless European French-German rivalry, regarding the WW 1. The film depicts a complicated relation between two nations in the powerful allegory of friendship between a German and a French character both in love with one woman, who is in love with both men. On this day there were more postings; we found many responses to the TV show Preverjeno (Verified) that airs every Tuesday on the channel POP TV. The blogs were about describing the past “as better than the present”. The authors stressed patriotism, which was stronger in the past, but supposedly barely exists today for the government is “taking away all our trust”. The author of the blog Praznik dela (The Labour Day) focused on values, which were at the time imposed on citizens by the state, but at the same time, the state guaranteed more certainty. User Zzzz wrote that today “udarništvo” (a form of activism under socialism) is gone. In the show Verified Yugoslavia was denoted as “the golden age of socialism and as a communist prison”. The video evoked a strong response from the users; some of them advocated Yugoslavia, others, such as the blogger Izpolni polje, who wrote that “thank god, the Yuga is behind us”, took an antagonistic view. Bloggers discussed whether Yugoslavia was better than Slovenia is today. We can point out a comment that someone under the nickname Godzilla made, saying “there were rascals in the past and there are rascals today”. The comments were mostly about the disadvantages of communism and most of the users pointed out that “Josip Broz Tito was also a communist – the same as other communists such as Stalin, Hitler (! ), and Toyo Hideki (!) and others”. With the exception of the reprise of the Artificial Paradise, first screened on 1st May, we did not find anything related to history on all monitored TV channels. The topics published on the RTV SLO’s site were, yet again, related to Yugoslavia, work and income. We found an interesting comment in response to the blog Mit o NOB (Myth of National Liberation Struggle) by the user Kouvran, who asked whether the only purpose of the bloggers that respond to different topics in Slovenia is to “piss on their own nation”? He found that “the responses on history and the events from the past are pejorative”. Still, some of the bloggers praised life in the past, and scorned our life today. A strong response was also on a blog about the bodies from mass executions after the WW 2, which were found on the Slovenian territory in October last year. The debate was concerned with the question whether Partisans were responsible for their deaths or not. We can say that bloggers were mostly reiterating publicly known facts and not so much their own opinion. The traditional event called “March along wire” was reported. The march route is some 32 kilometres long and it encircles Ljubljana. Television reported about this event as “the biggest recreational sport event in Slovenia” without any historical reference (!). In a sense, history meddled into a debate of the Parliamentary Committee for Defence, when the committee discussed about financing of the war veteran organisation. When a right wing MP claimed that “the resistance movement was the first to collaborate with the Nazis”, the president of the Association of the Combatants for the Values of the National Liberation Struggle angrily reacted in very strong words. The TV report from the spot showed the incident of practical throwing the president of the just mentioned association out of the conference room. 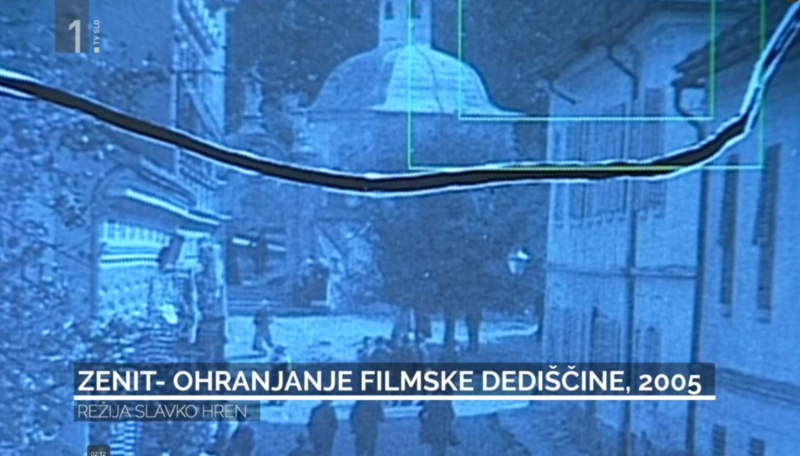 Another report was about the “Running Along the (barbed) Wire around the Occupied Ljubljana”. The report, however, did not mention the historical memory and context at all and it was stuck in only announcing that the annual event of sports and socialising will take place again. 4th May is the anniversary of Josip Broz Tito’s death. Most of the posts on the blogs on this day were about him. One of the authors pictured this day as a “sad day”, while users such as Tupamaroos mentioned Tito as the statesman, who “created Yugoslavia and we should all thank him”. Others agreed with the blogger Cinik, who wrote, “Look at Tito’s arrival in the palace of United Nations in 1963. At the arrival he was greeted with a standing applause – was this applause to the criminal??? Eternal glory!!!! !” The author of the blog Komsomolec wrote, “Tito should be our eternal pride”. An interesting comment was made by Ferdek, who said, “Tito was stealing, but he did it for us (citizens). Today no one gets anything from the capitalists, except minimal wages or the unpaid work”. Hence, when the bloggers talk about historical topics, they refer to the prosperity of Yugoslavia and the present-day “poor life” in Slovenia. Stepping away from the topics of Yugoslavia, we could find a topic about the WW 2. The author wrote about the biggest crime back then (June, July 1942), when the Ustashi (the Croatian collaborationist military) with the help of Germans killed 55.000 people. It is interesting that there was not a lot of opinions on this topic. Generally, the responses about historical topics are connected to the facts, which bloggers copy from other web sites (or sometimes find them in the novels and professional literature). In the brief afternoon news bulletin it was pointed out that 5th May has been the day of the celebration by the municipality of Ajdovščina, where at this day in 1945 the victorious partisan army formed the first Slovenian government. Duration: 18:00 p.m. – 18:13. “March along wire” was reported as also the school and kindergarten children and other categories of youth took part in it. They briefly presented (with animation) why a march along the wire is important. They made an attempt of contextualization of this historical event through a comparison with the Berlin Wall, and modern examples of fencing (Gibraltar and Northern Africa, fence on Slovenian southern border and the strict Schengen regime on the southern border). This news programme for youth, yet again, proved to be much more outspoken than the one for “adults”. They reported on a meeting of a number of the Slovene Members of European Parliament and the representatives of youth on the “Europe Day”, marking 60 years from the first treaties that founded the EU. Again, surprisingly, no retrospective view of history came into play in a discussion on the EU crisis. Obviously, history and its lessons are evaporating from today’s politics and media. In a special brief report, the channel focused on the report about the incident in the Parliament, which was presented by POP TV 24 hours (look above under “Thursday 4th May”). However, the report totally ignored all references to history in the quarrel and it concentrated on the “culture of discourse in the Parliament”. On this day in 1945 the Slovenian nation got the first government. Some of the topics on the blogs were dedicated to this, but there were not many bloggers, who responded to it. We can point out an interesting comment made by Mataj – finance, who wrote that Slovenia did not even exist until Yugoslavia signed the London Memorandum in 1954; he/she wrote that before the WW 2 there were just some provinces, which have not been even similar to Slovenia. As we already found out by examining the forums and web sites last year the blog users don’t discuss so much topics related to the opposition leader Janez Janša, his past and his present; bloggers say that this topic was already discussed about many times over. The epithet “historical” was used in describing the French presidential elections. However, the reporter did not bother to explain why the event was historical and even less he told anything about history of the French presidencies in the modern era. A report on the day’s happening of the “running around occupied Ljubljana” again concentrated solely on the recreational, entertainment and sport aspects of the event. The report showed people of different ages, who went for a trekking or running, questioning some participants mainly about their feelings and their physical condition. The late evening news reported on the celebration at Topolščica, from where on 9th May 1945 the information about the end of WW 2 in Southeast Europe has been broadcasted. The President of the Republic asked a rhetorical question “why a reconciliation between two warring factions in the WW2 seems impossible in Slovenia, while “we” have forgiven to the Italians and Germans. On RTV SLO web site quite a few articles referred to history and historical facts. The blog with the title Emonci v Mislinjski dolini looked like an interesting one, because the author wrote about Ustashi and revenge. He wrote that the Ustashi were “revolutionaries, and that there has been no excuse for revenge and so many horrible acts” after the end of WW 2, but he still pointed out that people “tend to look on history and certain events one-sidedly”. There was a very strong response to the blog; many users did not agree, other did agree and wrote their own opinion and presented different facts. We should mention that this blog had most responses during these days. Other interesting blogs were written as a response to the talk with Mrs. Darja about patriotism and waving the flag. The bloggers focused on many different topics, among them the repudiation of patriotism, embitterment of youth, etc. The blogger Andromaha interestingly responded as she wrote that Mrs. Darja expressed thinking, which is “expected from a historian”. Here the blogger stresses a part, where Mrs. Darja Grom writes that each person has a right to revive memories, but no politician has a right to tell us what we should or shouldn’t remember. The responses suggested that we should not generalize history and historical facts, and that we should realize that history could be interpreted in a different ways – often wrongly. News programmes were again silent about history. Only a bit of a rather recent history was presented on this day in a reprise of the documentary War of Lies – the story of an Iraqi expatriate, who talked about the weapons of mass destruction and passed this “information” to various intelligence services – most decisively to the CIA. His “information” was a pretext for the US government to legitimize the invasion of Iraq in 2003. The film exposes the fact that the war was based on a lie. On this day, the most popular blog topic was patriotism. Bloggers had many different opinions on the topic. Some again pointed out that not everything is “just black or white”, but that there are also in between truths. There were many responses on the blog “NDH, država?” (Independent State of Croatia – the State?) It is interesting how many topics are concerned with Croatia and the Ustashi. Fr Ro St wrote: “Unbelievable!? How many non-Ustashi are active on sites of national RTV blog’s cesspit”. An interesting commenting was also on the life of Tončka Drobnič and her life with partisans. Bloggers took sides (for or against Partisan resistance). Tupamaroos wrote an interesting response about Partisans as “the only real heroes amid Slovenians”. By denying this, “we erase their bravery and heroism. If we continue to do so, we cease to be a state”.